It’s no secret that eggs are one of the most nutritious foods and complete proteins out there. According to The Egg Nutrition Center, the health education and research center of the American Egg Board, a large egg contains just 70 calories, at least 6 grams of protein, 14 essential nutrients including choline (an essential nutrient involved with memory, mood, and other brain and nervous system functions), and vitamin D, which is known to reduce the risk of chronic health conditions such as diabetes and certain cancers. It’s also the least expensive source of high-quality protein at just 15 cents per egg. 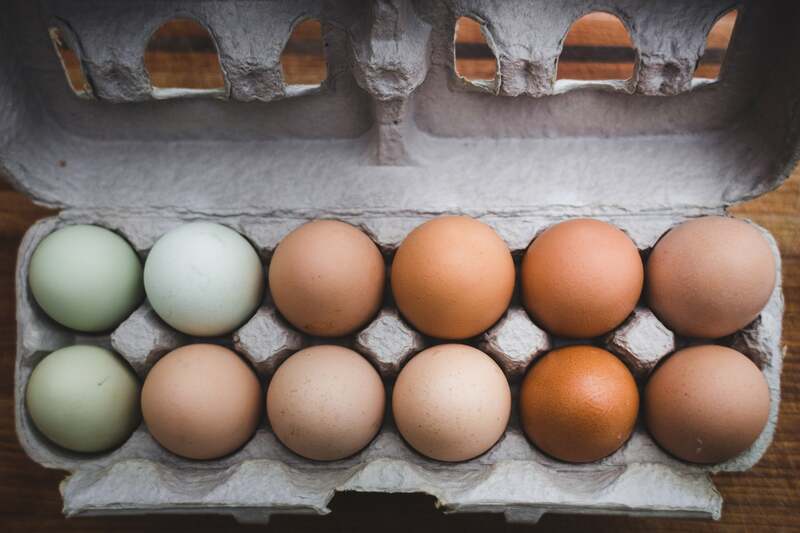 However, when you get to the egg section in the grocery store these days, you might be overwhelmed by all the choices in front of you, from certified organic free-range to pasture-raised and omega-3 enriched eggs. For the longest time, I would say to myself that “eggs are eggs” and just grab the cheapest carton of regular conventional eggs. As it turns out, I wasn’t totally off in that line of thinking. But after reading a little more about the different types of eggs, I gave organic free-range and pasture-raised versions a try. I found that they really do taste slightly better and might be worth spending the extra few bucks on every so often. According to Starla Garcia, M.Ed, RDN, LD, a registered dietitian in Houston, while some of these eggs might taste better than others, nutritionally speaking, with the exception of omega-3 enriched eggs, none of the different versions are truly “better” or healthier than the others, though there are environmental differences that a person may view as beneficial for the hen. The better taste in certified organic versions of eggs is likely due to their richer yolk color. Here are the differences between the most common labels you’ll see in stores! Eggs labeled as “certified organic” have been laid by cage-free or free-range hens on a certified organic feed and have not been treated with hormones. The hen also is able to go to the outdoors. The feed provided is grown without synthetic pesticides, fungicides, herbicides or fertilizers. All ingredients in the feed are 100 percent organic. “My recommendations are to purchase certified organic organic due to the standards of not only the animal being treated more ethically, but also providing the hen with feed that is also labeled 100 percent organic,” Garcia said. Cage-free eggs are laid by hens that are not housed in enclosures. They are able to move around in open areas past their traditional nest space and perches. The difference between these and free-range hens, though, is that cage-free hens might still be raised in over-crowded hen houses and likely aren’t able to roam outside. 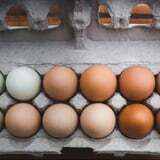 “If someone did want to purchase eggs with additional nutritional benefits, and they don’t already get enough omega-3s from other food sources, these would be the ones to go with,” Garcia said.